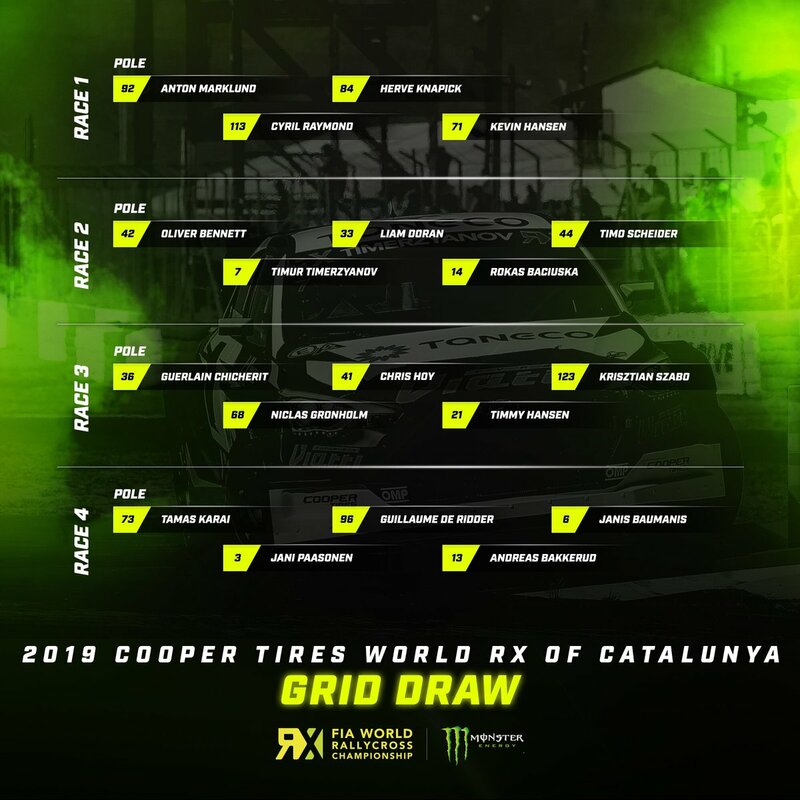 Sweden’s Johan Kristoffersson set the quickest time in Q2 at the World RX of Germany, round eleven of the FIA World Rallycross Championship and is overnight TQ (top qualifier). After finishing second to PSRX Volkswagen Sweden team mate Petter Solberg in Q1, Kristoffersson took the lead of Q2 race four and won to set the quickest time. Solberg was third quickest, behind Q2 race three winner Andreas Bakkerud. Team Peugeot Total’s Timmy Hansen and Kevin Hansen were fourth and fifth in Q2 and EKS Audi Sport’s Mattias Eskstrom was sixth. Completing the top ten in Q2 were GRX Taneco’s Niclas Gronholm, Team STARD’s Janis Baumanis, Peugeot’s Sebastien Loeb and GC Kompetition’s Guerlain Chicherit. In the final round of the FIA European Rallycross Championship for Super1600, Championship leader Rokas Baciuska was quickest twice, Aydar Nuriev was second twice and Timur Shigabutdinov was third in both qualifiers.